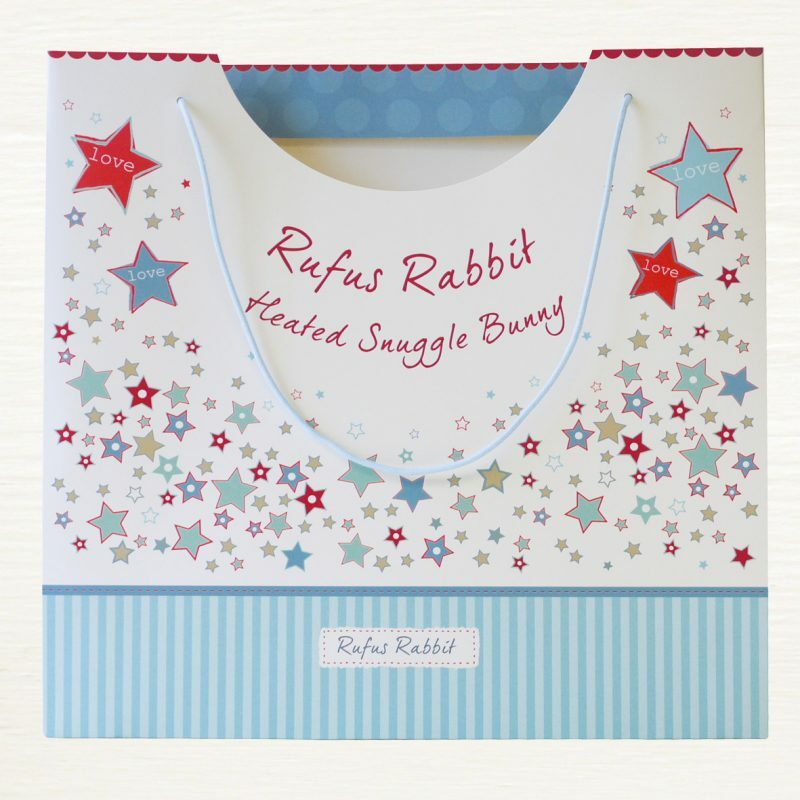 What on earth is a Rufus Rabbit snuggle bunny? A snuggle bunny, why, didn’t you know? It’s a bunny perfect for babies, toddlers and preschoolers. 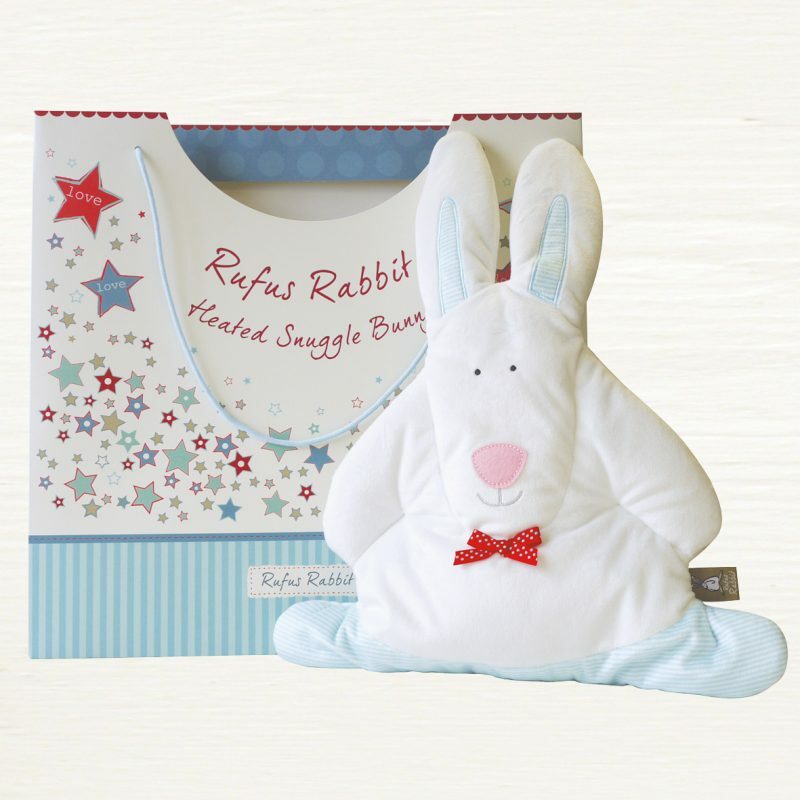 These snuggle bunnies are lovely to rest your head on and are super for car journeys or pram strolls. And here is the best bit. Inside each bunny is a microwaveable lavender wheat bag which can be removed and heated. 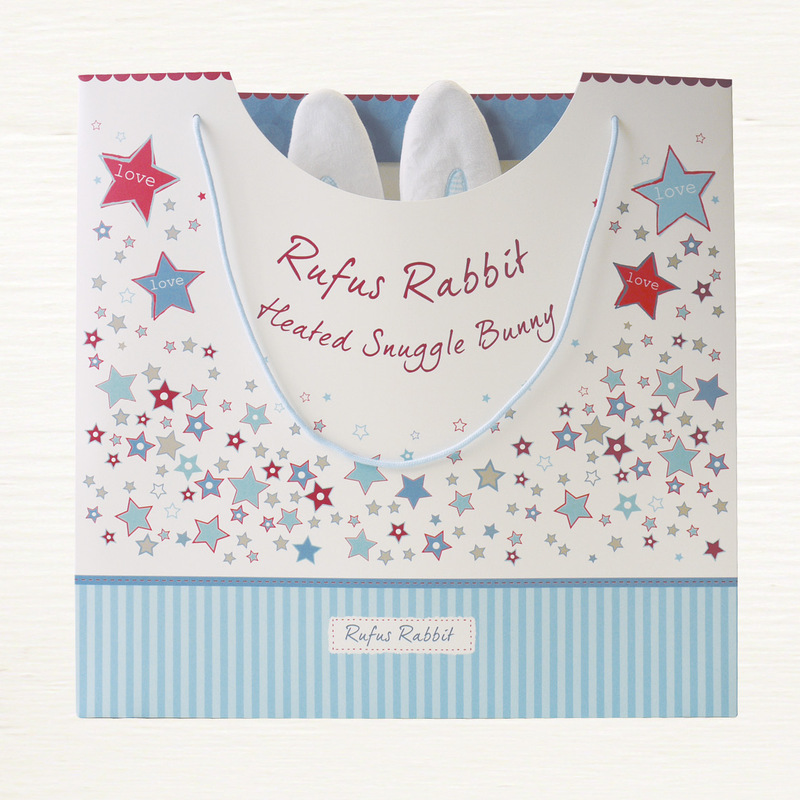 Thus turning the snuggle bunny into the cosy, comforter bunny that provides soothing warmth for poorly tums, ears or toothache. The UK fire retardent lavender wheat bag is filled with pure organic lavender from the finest lavender growing region in the world, Provence. They are making Bunny HQ smell absolutely wonderful! 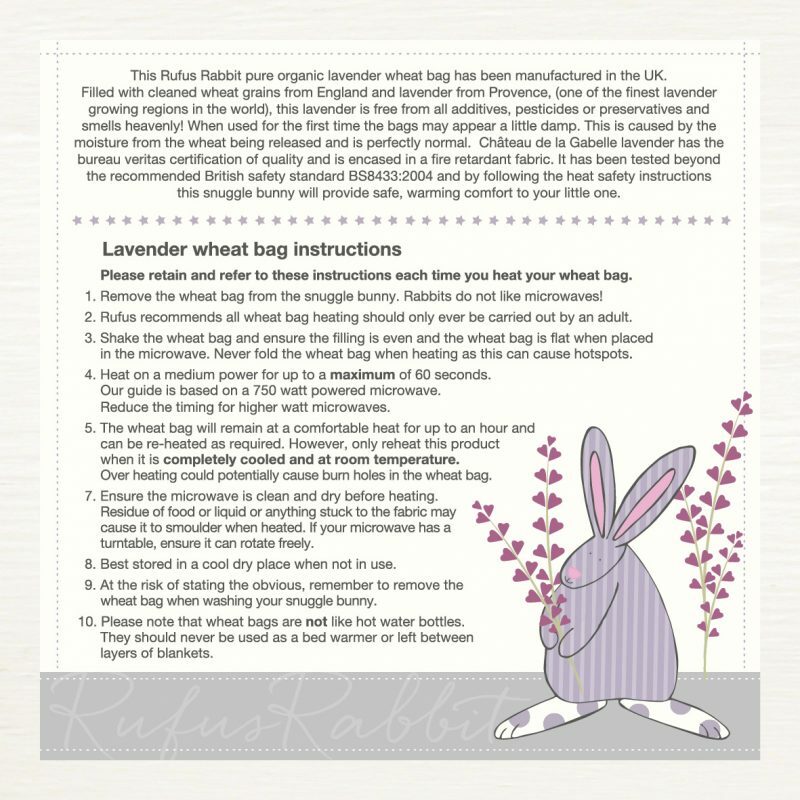 This rabbit arrives with his own gift bag and a card detailing the heating and care instructions for the wheat bag plus the lavender provenance stating that it is free from all additives, pesticides or preservatives.